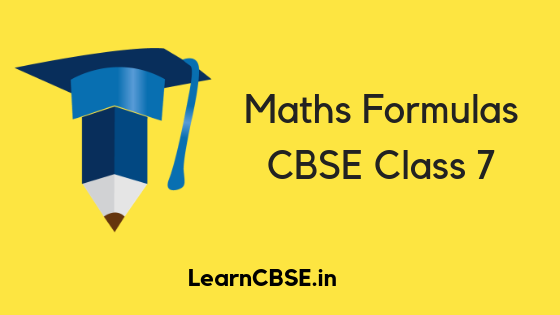 CBSE Class 7 Maths Formulas available for Chapter wise on LearnCBSE.in. Download the important Maths Formulas and equations PDF to solve the problems easily and score more marks in your Class 7 CBSE Board Exams. CBSE Class 7 Maths Formulas are given below for all chapter. Select chapter to view Important Formulas chapter wise. We hope that our CBSE Class 7 Maths Formulas helped with your studies! If you liked our CBSE Class 7 Maths Formulas, please share this post if you have any queries drop a comment below and we will get back to you at the earliest..